The Country Women’s Association of Australia (CWAA), an iconic and trusted community organisation, has added its voice to the growing calls to curb the aggressive marketing and promotion of alcohol. We strongly believe alcohol sponsorship in sport must be phased out to better protect families and children in rural and remote communities from increasing alcohol harm and alcohol advertising should be banned before 8:30pm in child-viewing times. CWAA wants an ongoing national reflection on the challenges many rural communities face in regard to alcohol abuse and the negative impact of alcohol advertising. A substantial proportion of people in rural Australia drink at levels that greatly increase their risk of alcohol harm. Our position is that more effective and rigorous alcohol advertising regulation would reduce the disproportionately high burden of alcohol-related death, disease and injury. At the 14th National Rural Health Conference held recently in Cairns, I outlined the CWAA’s commitment to alcohol harm reduction in rural Australia. 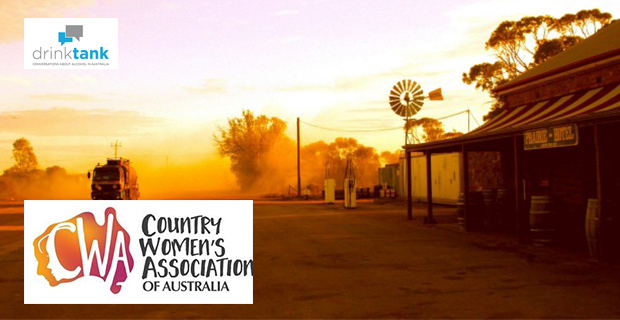 The CWAA’s work and engagement with rural and remote communities over the last 90 years has provided the organisation with a unique and first-hand experience of the impact that alcohol has on country Australians. The experiences of our CWAA members, their families, friends and community provide the CWAA with a great insight into the complex role that alcohol plays in our society. Through our partnerships with the National Rural Health Alliance (NRHA) and the Foundation for Alcohol Research and Education (FARE) we also understand and acknowledge the policy action that must be taken if we are to make country communities safe. In advocating the phasing out of alcohol sponsorship of sport, we join medical and public health experts including the Royal Australasian College of Surgeons, the Royal Australasian College of Physicians, the Australian Medical Association, St Vincent’s Health Australia and the Foundation of Alcohol Research and Education (FARE) who have long advocated for an end to alcohol sponsorship of sport. 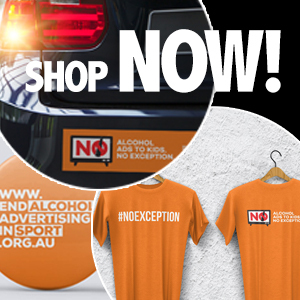 CWAA has partnered with FARE in mobilising Australian communities and partner organisations to rally under the #BoozeFreeSport campaign, which is seeking the phasing out of unhealthy alcohol sponsors from professional sports as well as a change in the self-regulated television laws which currently allows alcohol advertising during live sport telecasts in child-viewing times. Alcohol sponsorship of our major sporting codes is a real concern because all the evidence shows that exposure to alcohol advertising is associated with young people drinking more and from an earlier age. By showing leadership and determination on this important issue, we hope the CWAA can draw attention to this issue throughout Australia, and provide a conduit for its members and families to engage and support this important campaign. We must take a stand to protect our children and families. Congratulations. It is great to have your support in combatting addiction.